Mention yourself and tag your referee colleague and mention in the post why you should win the AXIWI kit! Everybody is hunting for eggs in the upcoming days. 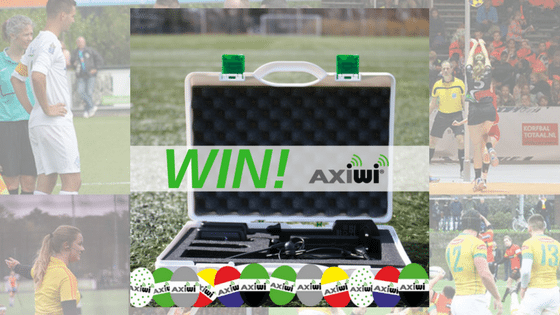 At Axitour Communication Systems, supplier of the AXIWI communication system, you can already hunt for a referee communication kit for 2 persons on the AXIWI Facebook page. Every referee can nominate himself and a colleague referee (by tagging him or her) on the AXIWI Facebook page. Mention in the post/message why you should win the AXIWI referee kit for 2 persons. Referees can only nominate themselves and tag a colleague, but can not nominate other referee couples. On this webpage you can read how you can nominate yourself and colleague referee as couple (LINK).